28 graded lessons. Multiple types of accompanying exercises. Entertaining stories and dialogues in manga-style cartoon strips. Clear grammar and usage notes. Interesting cultural notes. 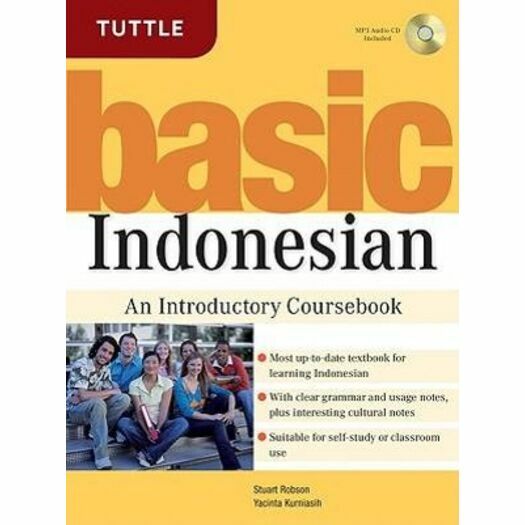 Accompanying MP3 audio-CD Available seperately-Try Tuttle's Indonesian Flash Cards to reinforce the vocabulary you've learned with Basic Indonesian!